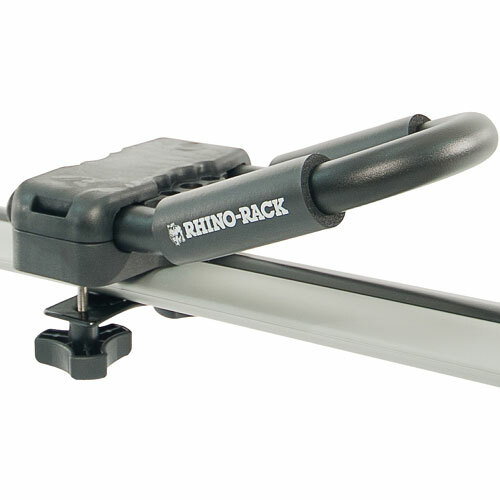 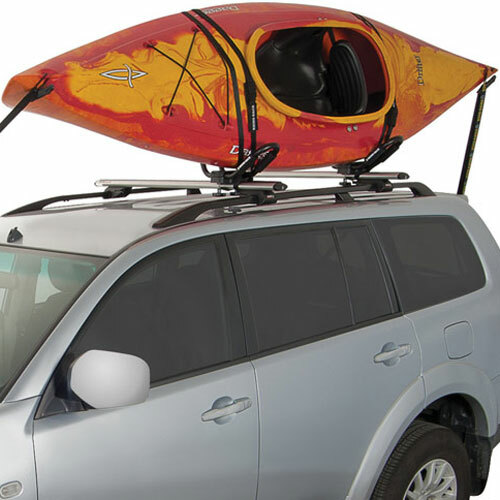 The Rhino-Rack S510 Fixed J Style Kayak Racks and Carriers are ideal for transporting your kayak on it's side. 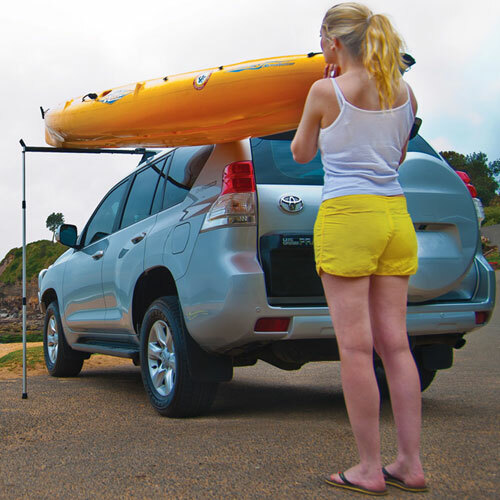 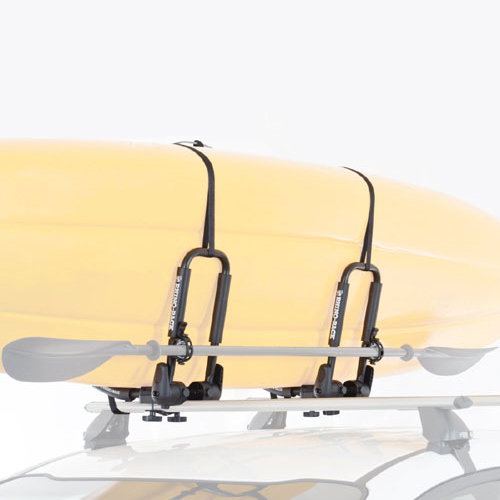 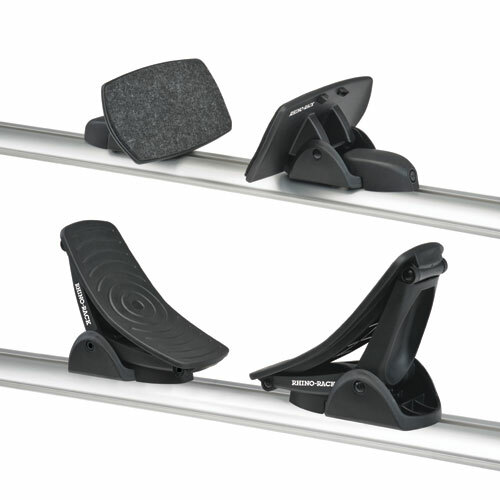 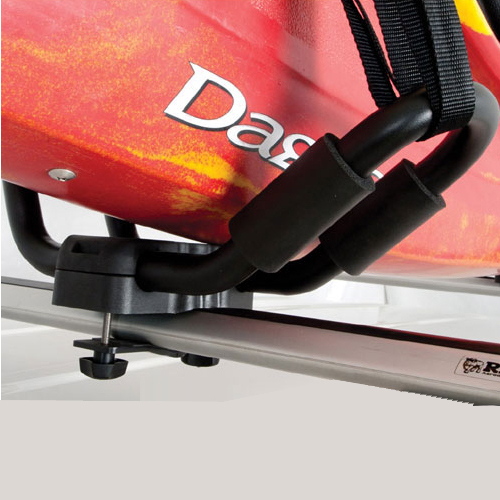 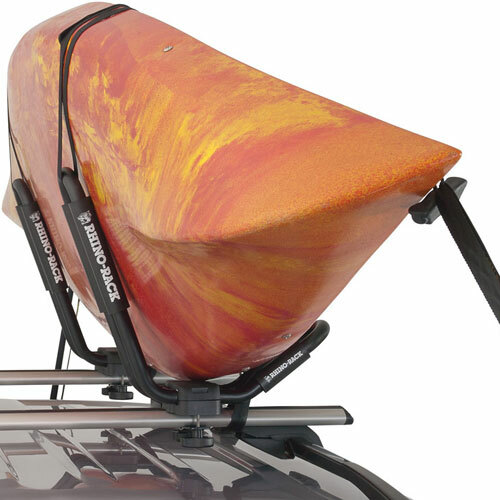 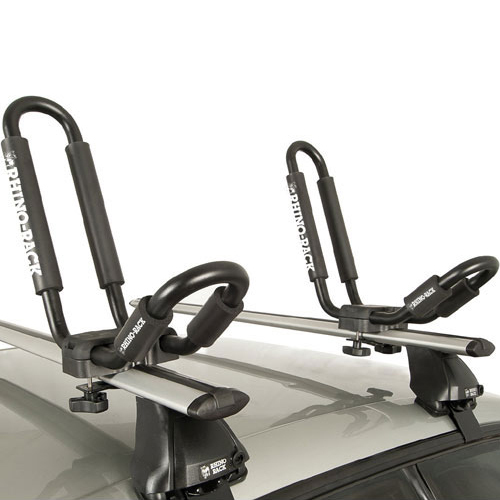 The Fixed J Style Kayak Carrier comes fully assembled out of the box and includes universal mounting hardware for mounting it on just about any roof rack on the market. 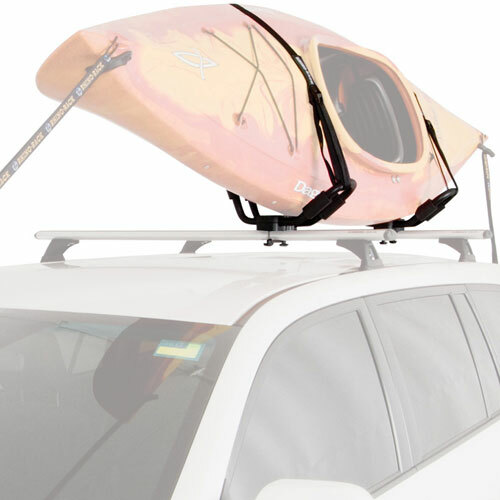 The heavily padded Rhino Fixed J Style Kayak Racks are built with powder coated steel tubing and include heavy-duty tie down straps and bow stern tie downs.